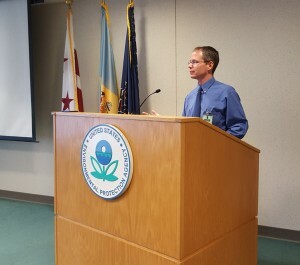 In February, Brad Granley, Founder and President of LMS, was invited to speak to USEPA Region 3 Hazardous Sites Cleanup Division employees in Philadelphia about using Natural Systems for remediation projects. He discussed how phytoremediation can benefit a variety of contaminated sites as well as the options available for on-site disposal of wastewater and impacted groundwater. He introduced natural treatment and disposal systems including phyto-utilization, WAIV, and constructed wetlands.